It’s 4 o’clock and I’m bored. I’m sitting on a flat rock about halfway up Bernal Hill; from here I can see all of Downtown, the Financial District, the Castro, the Mission, Soma, and two bridges. Four fire engines are going somewhere off to the East, but I can barely hear them from this high up. Off to the West the coppery heads of the great pylons of the Golden Gate are just visible above some tree tops , almost obscured by the play of light amongst all the buildings of all the neighborhoods between it and me. I’ve been listless for awhile now; age is going faster than wisdom, and I’ve felt like I’m on the verge of some great spiritual understanding for some time, like Zarathustra on his high hill, minus the philosophical depth, certainly. There is just so much doubt (am I setting myself up for disappointment? do my decisions even matter? Am I outsmarting the powers that be who want to profit from my suffering and labor?) the last one is likely a “no”. For awhile now I’ve come to the conclusion that momentum, blind momentum, is the only thing that I’ve got to cling to. Inaction is a crippling thing, I’ve always feared it. Acceptance, submission, finding happiness in the little things, that has always signaled some type of subjugation to me. But after all this, somewhere in old age I may feel that I’ve wasted my life, that not putting down solid roots was the biggest mistake I could have made. But even then maybe it’ll be enough to know that the compulsion to keep moving, to keep trying to find that something that I’ve been missing, never being satisfied, was the best choice I could’ve made when I’ve had next to nothing to go on, other than knowing what I didn’t want my life to be. I could go on and on, but anyway with all this in mind, I’m waiting on the powers that be over at the Ministry of Education in Spain to give me the green light to expat myself out of California and begin a teaching sejour over in Madrid, where again I will impart my delightful Valley accent on some glue-eating 5 year-olds. 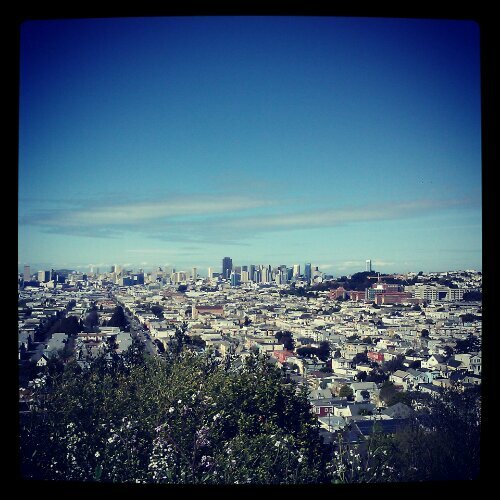 I feel like I have overstayed my welcome in SF; lovely city that it is, it definitely has an expiry date. 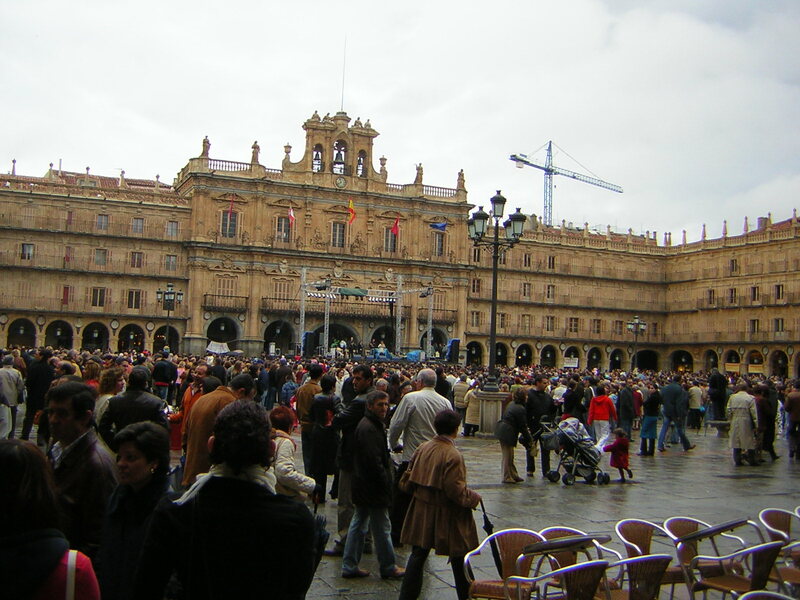 I’ve been to Spain before a couple of times, though my travels were limited to just a few days in Madrid and Salamanca, I was into it. Into it enough to live on a meagre salary and potentially face a classroom full of teenagers, particularly frightening because I may have embellished my Spanish skills somewhere in the application process (hey man I took Spanish for years, but once I began learning French that all went out the window, and boy is it hard to get back). For now I’m assuming that I have some fantastic latent Spanish abilities tucked away in my brain, likely filed under “no longer necessary for communicative purposes”, probably not far from wherever all that high school calculus went. From my limited but optimistic understanding Spain is a bitchin’ country in many ways. 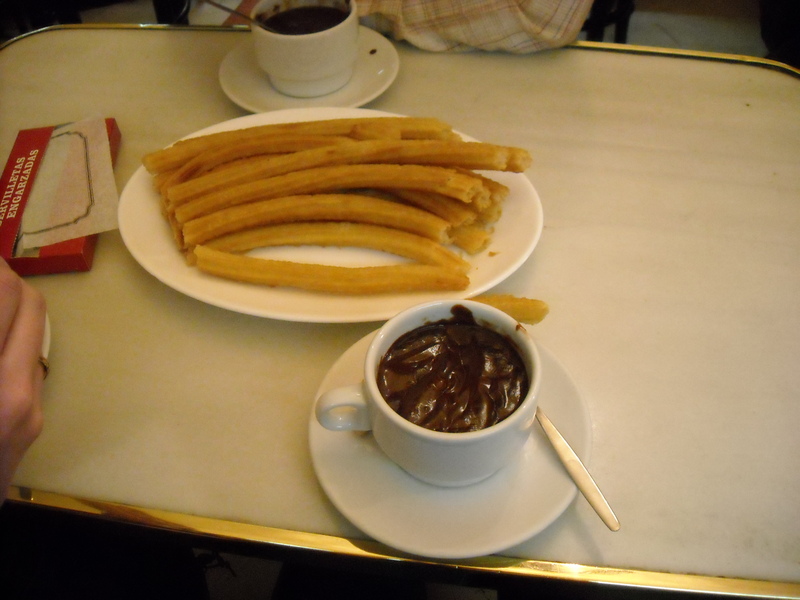 The people are friendly as all get out and the food is a lush dream. It is definitely a good next step in my reverse-retirement (why work hard now and have fun when I’m old, that just seems like common sense). A more reasonable pace of life and concentrated enjoyment of friends, food and gossip around a good bottle of wine. The museums, the music, the energy. If one’s life feels directionless, might as well have an existential crisis with a good backdrop. Honestly I didn’t get to dig very deep whilst over there the last time. And given the language issues, I imagine this experience will put some hair on my chest. 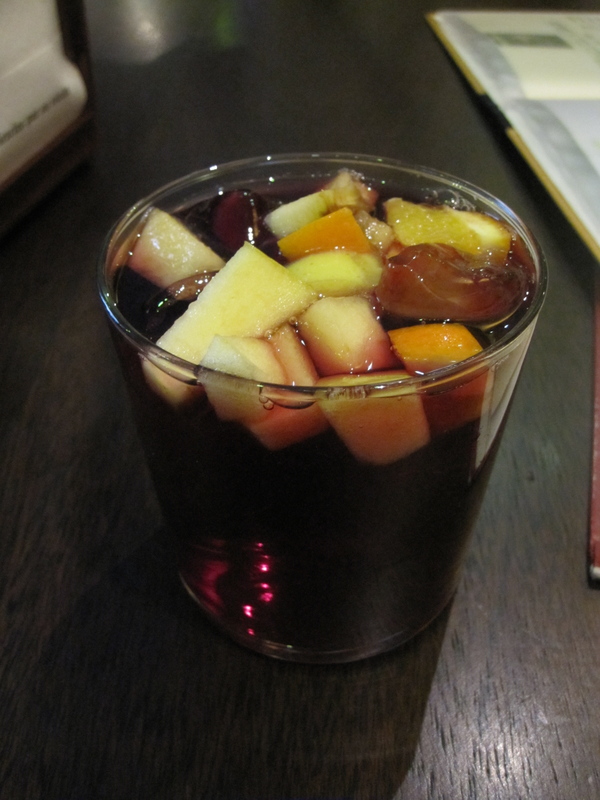 When all is said and done I’m really not sure what the hell I’m doing with my life, so I might as well do it in Spain with a vat of sangria, because really, who cares (in a good way). I have a love/hate relationship with this ambrosia. Mostly I love it but I hate throwing it up. I was a vegetarian at this time, so this was a sad picture. 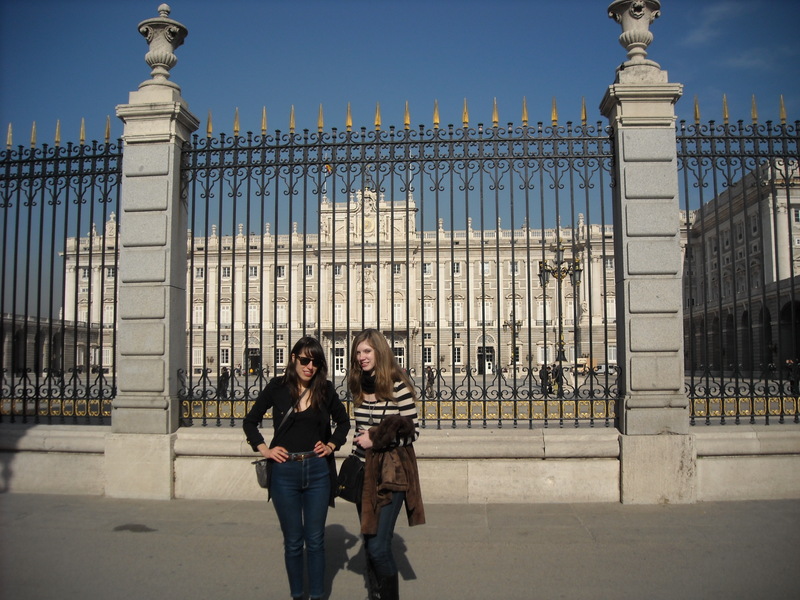 Palacio Real with my homegirl, taking in some culture to ease the hangover. 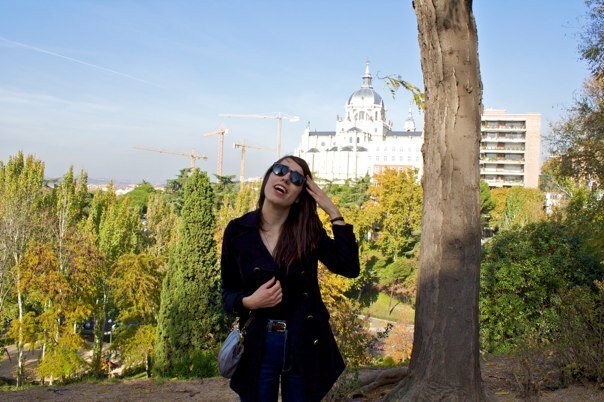 Madrid is amazing! I lived there for 3 months last year and couldn’t get enough of the city. I don’t think I was ever bored. If you go back to live you’ll love it!